We help individuals with disabilities become independent, productive members of our community by providing them with employment opportunities, job training, and practical life learning programs. "We love working with QCoffice! The fast and free delivery service, combined with the lower prices on just about everything we need are enough to make shopping with them totally worthwhile; but their friendly service is the icing on the cake! I feel great working with a local business, especially one with such a huge heart and a terrific mission. Their product offerings are continually increasing, and I am constantly surprised that they can offer the same products as the big box stores at the same or lower prices." We can’t do what we do without having quality connections like you. We depend on the strong connections we make with our community to accomplish our goals - social and environmental. There are many ways to help - all equally important. 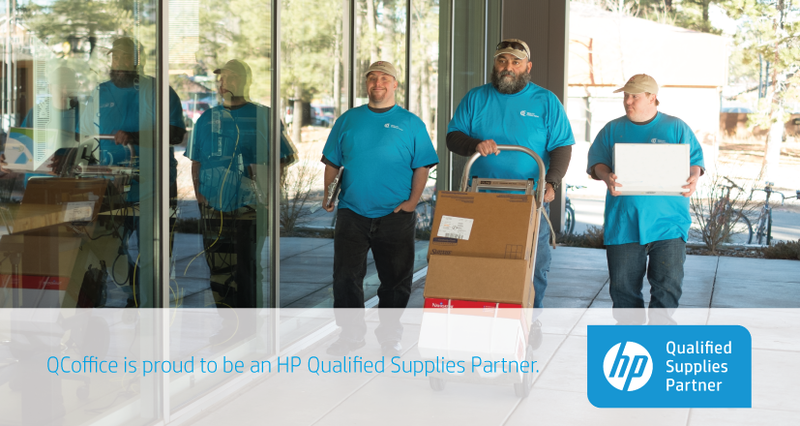 When you buy office supplies, cleaning products, and HP OEM toner cartridges from QCoffice, you are helping to provide employment opportunities and job training to people with disabilities. When you hire a person with disabilities, you are enabling that person to become a productive member of our community, which increases their independence and benefits the entire community. When you support Quality Connections with a financial contribution, you are supporting programs that help people with disabilities become independent, productive members of our community. We eliminate barriers so people can have the best chance to succeed. Don’t let your limitations define your quality of life. Whether you or someone you love is living with a disability, we can help. 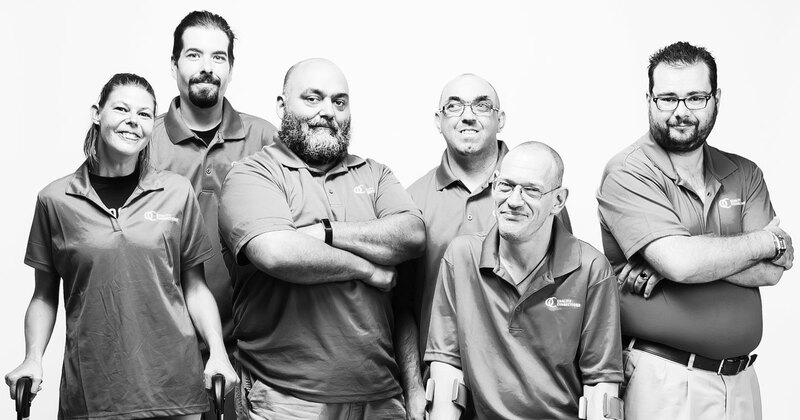 We provide services to individuals with a wide variety of disabilities to help enhance their quality of life. Through employment and training services, Montessori-based learning programs, and residential programs, we strive to provide our clients with a sense of independence and self-esteem. 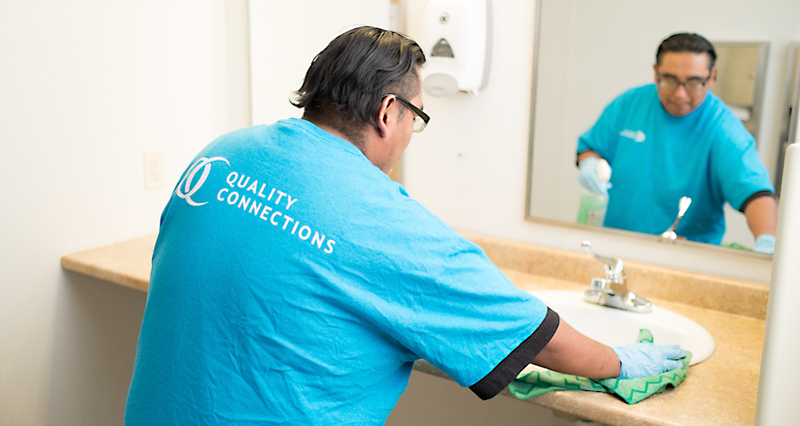 Come in for a tour and let us show you what Quality Connections is all about. The best way to understand the magic that happens at Quality Connections is to come and see it for yourself. 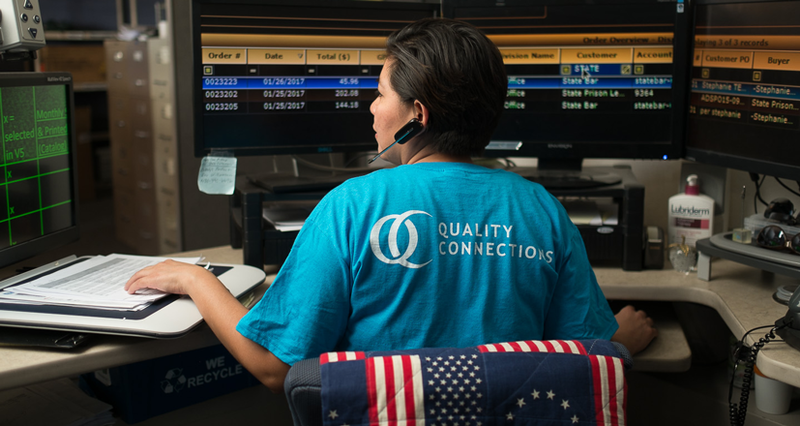 Come see why our employees and clients love coming to Quality Connections everyday. Meet our QCoffice delivery crew, check out our toner cartridge remanufacturing shop, visit our Montessori Adult Day Program, and meet some of the people who make it all happen.